The Brontës are surely Britain’s most famous literary family. Originally published under the pseudonyms Acton, Ellis, and Currer Bell, the novels of sisters Anne (1820-1849), Emily (1818-1848) and Charlotte Brontë (1816-1855) remain cornerstones of British literature. 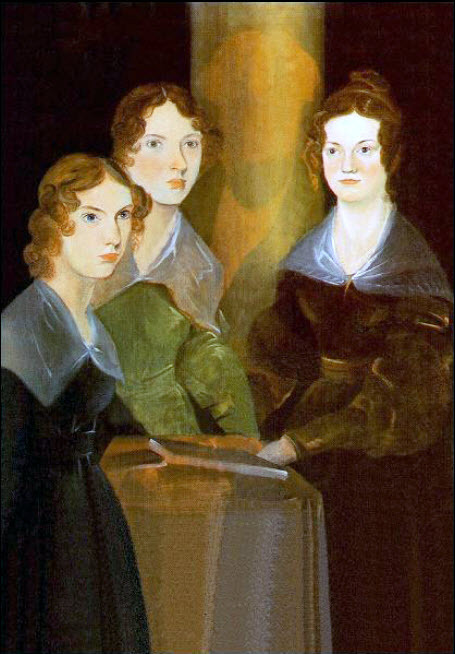 The work of their brother Patrick Branwell Brontë (1817-1848) has never received as much attention, though he painted the most famous image of the three youngest Brontë daughters (his ghostly presence appears between Emily and Charlotte), and he shared with Charlotte the writing of stories about the imaginary kingdom of Angria. In 1840 he corresponded with Hartley Coleridge about poetry and translation, and he published a handful of poems and essays. Patrick Branwell Brontë, “The Brontë Sisters,” ourheritage.ac.nz | OUR Heritage, accessed April 26, 2019, http://ourheritage.ac.nz/items/show/10235.